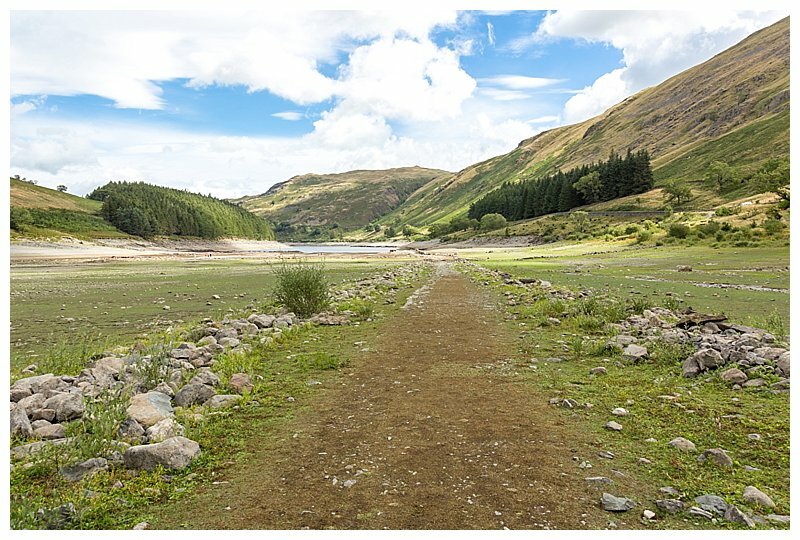 Like many others recently, due to the dry weather spell this summer, I got to walk on the paths of a lost village that usually sits on the bottom of the Haweswater Reservoir. It is quite surreal. 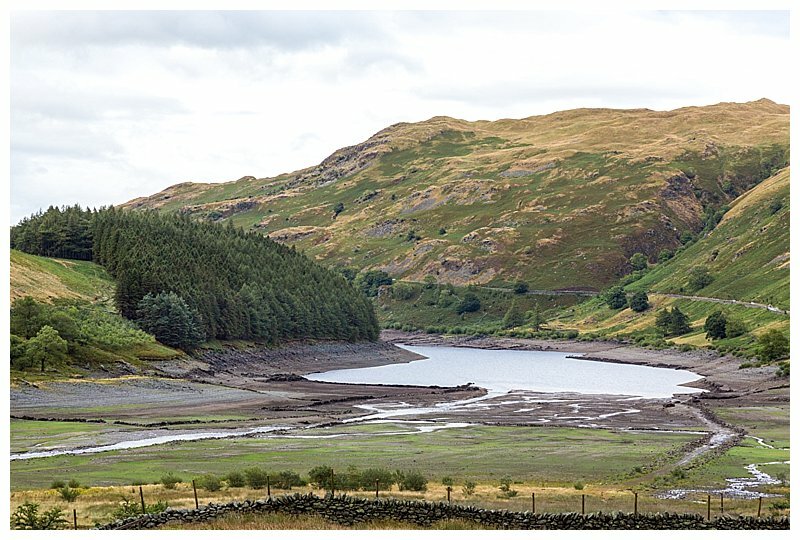 The valley of Mardale was populated with farming villages and in 1929 the controversial construction of the Haweswater Dam started in order to build a reservoir to supply water for the urban north west of England. Hence the village was flooded. 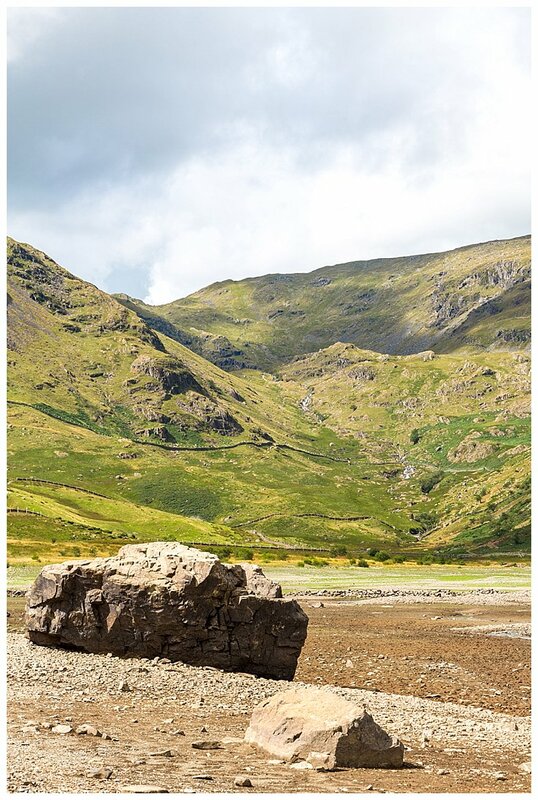 The farms, the houses and Dan Bull Inn in the villages of Mardale and Measand were pulled down and even the coffins were removed and buried elsewhere, when the church was also demolished. 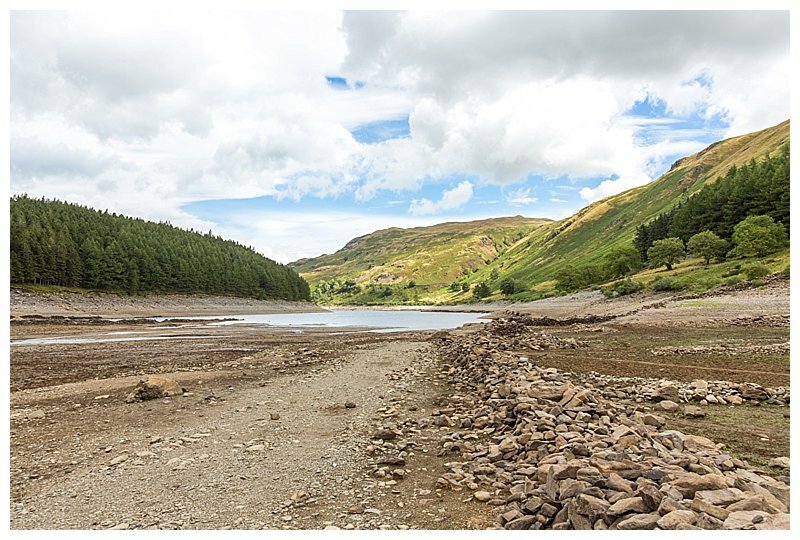 At 4 miles long and a depth of 200 feet usually, Haweswater is one of the largest lakes and at times of drought and low water levels, many people go back to see what is left of the village of Mardale. 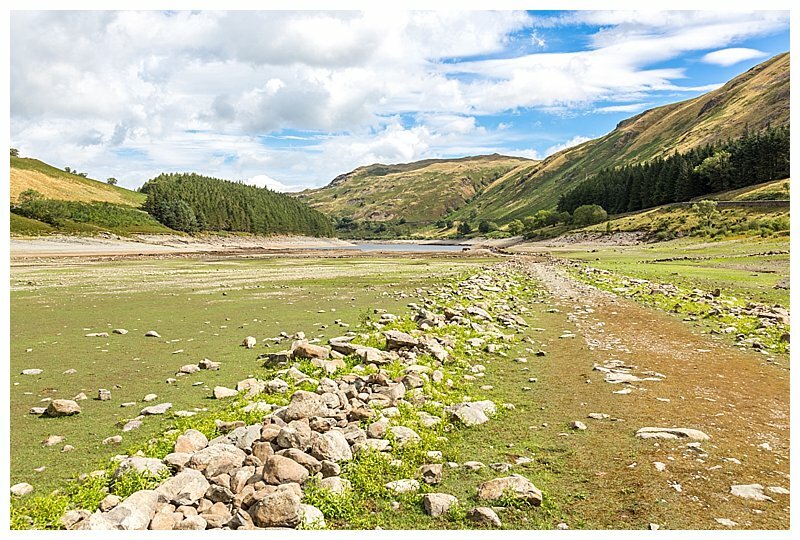 You get a better impression and can see more of it from the top road and the brickwork of roads and walls are apparent as you walk along the dry water bed. Plus this article from 2014 shows there were more ruined remains back then.